Luxurious 2100 square feet condominium at Villa La Estancia, Cabo's newest exclusive community of villas. Ground-floor unit a few short footsteps to the pools and beach. Located on Medano Beach, the only swimming beach in Cabo, just minutes to downtown Cabo. Overlooks the Sea of Cortez with dramatic views of Lands End. Enjoy the comforts and services of a five-star resort at an affordable price. The villa will sleep six comfortably with a king bed and two queens. No Hard Beds! We have pillowtop mattresses! Fully-equipped kitchen with breakfast bar. Tastefully decorated by the owners with a personal touch. 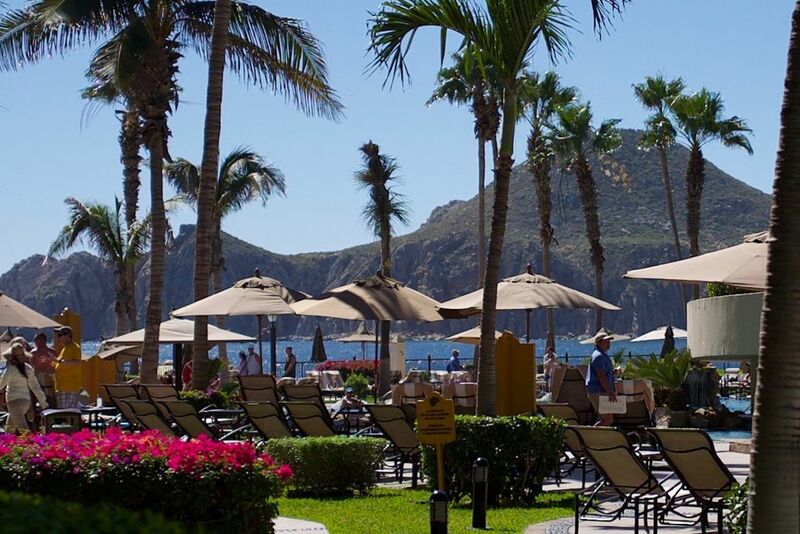 Guests are entitled to all the privileges at the adjoining sister properties, Villa Del Palmar Resort and Villa del Arco including a deli and market, video store, restaurants, and whale slide pool. Only issue was they were doing some construction and noise was pretty loud (jackhammer) but know it couldn’t be helped. We will stay here again in the future. This condo is situated on the ground floor, with the pools and fitness center steps away. It also comes fully stocked with kitchen utensils, everything you may need for a bbq and blended drinks at the beach. Can’t wait to come back to this slice of paradise. A perfect condo for families and fitness fans. The stay here was awesome. It's literally 10 steps to the pool from the patio. Similarly to the fitness center. We stayed here with our four kids and it was perfect. We could easily nip backwards and forwards to the pool. Ring concierge if we had anything we needed. We needed a crib and a wine bottle opener and the responded quickly. Decor and furnishings are all nice. A/C lovely. Love how clean and convenient the place was. Want to stay there again. Competitively priced and location is the die for. This was our first trip to Cabo, we were 5 ladies celebrating a 50th Birthday. Once we arrived to Villa la Estancia, I knew we made the right choice! Rick’s condo was beautiful, comfortable and being on the ground floor was so nice we could just walk out the gate right to pool, beach and gym. The resort is beautiful and right on the beach with views of the arches. We felt safe, even walked into town one day. I plan on staying here the next time I come to Cabo! Thanks Rick! We provide every other day maid service in our price. Wifi is available in the unit and on the property.